While my mother is Portuguese I'm ashamed to say that I've only been to Portugal twice. The first time was about ten years ago, Mr. FFID and I spent a week in Lisbon doing all the main attractions, enjoying day trips to Caiscais and Sintra as well as gorging on cheap food and drinks. We loved it and always said we would come back. 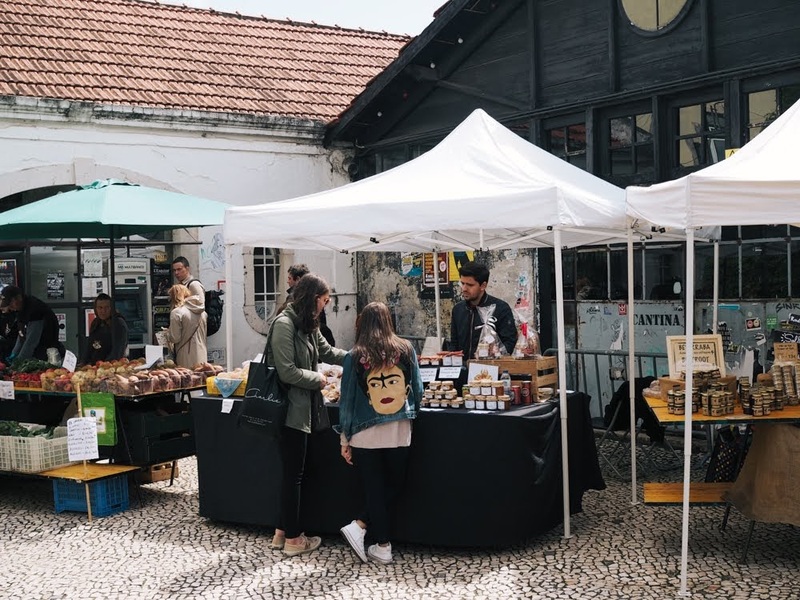 We were delighted to go back this year, this time to explore the food scene in a little more depth as Lisbon has been through a culinary revolution over the last few years and seems to increasingly attract tourists for its gourmet delights. Between our two visits, not only has the food scene grown but the number of tourists has exploded. Not a little, A LOT. 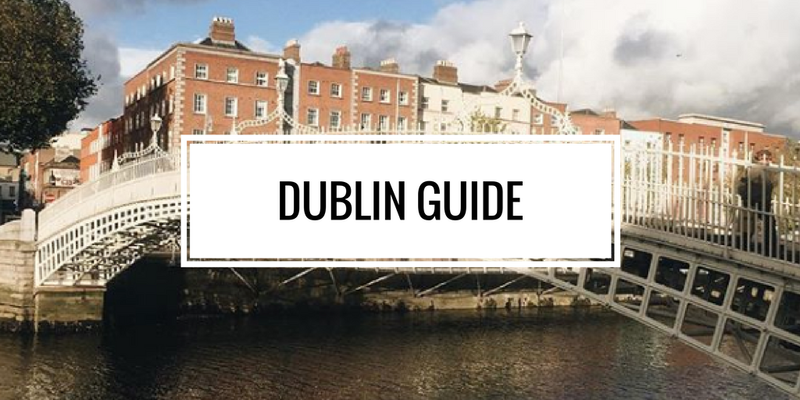 The city is super picturesque, the food was great, the locals were lovely but I was disappointed to see that the city is now overcrowded with tourists, pretty much everywhere you go. That said we had a lovely time which was spent mainly exploring the restaurants and cafes of the Portuguese capital. 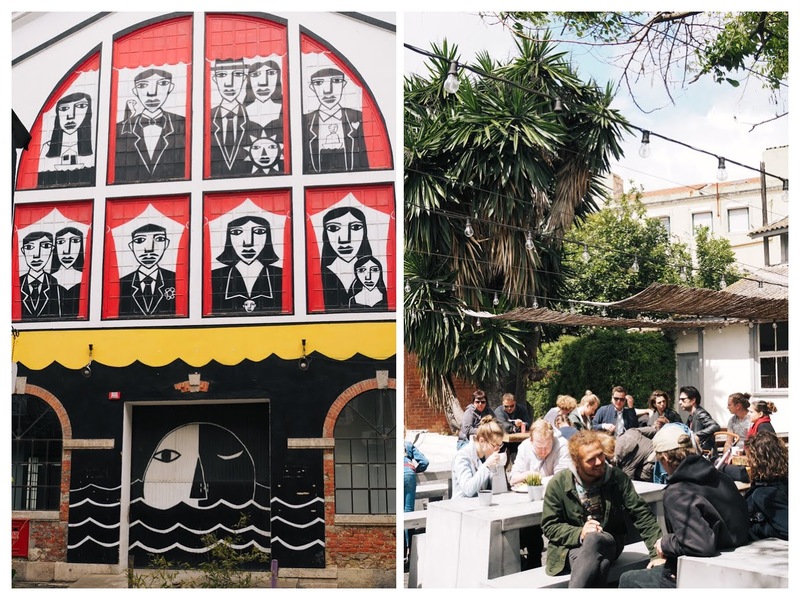 With Mr. FFID being seafood intolerant, I didn't really have the opportunity to visit places like A Cevicheria or Ramiro which were recommended to me but we still manage to try some great spots for food and drinks that I've shared below. This place was on top of my list as it didn't exist when I first visited Lisbon. 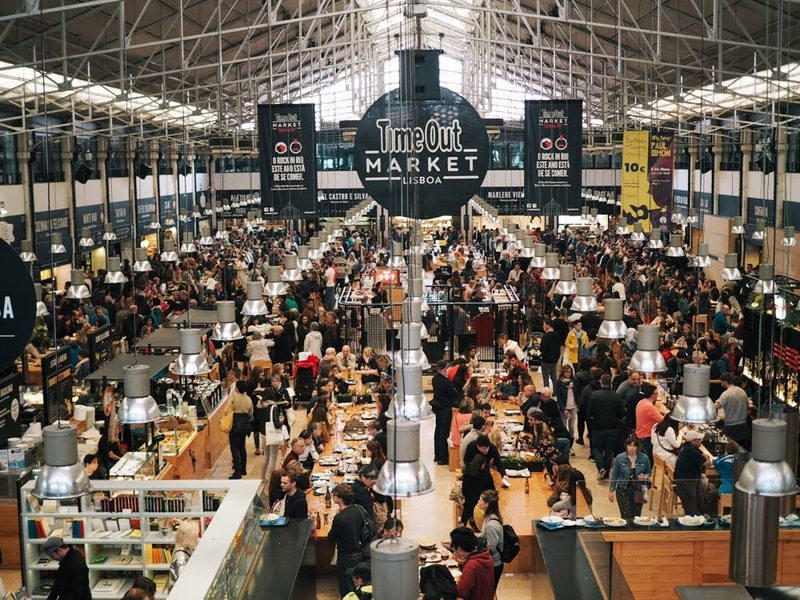 The Time Out Market is a massive food hall featuring restaurants from which you can order food to enjoy in the communal sitting area. 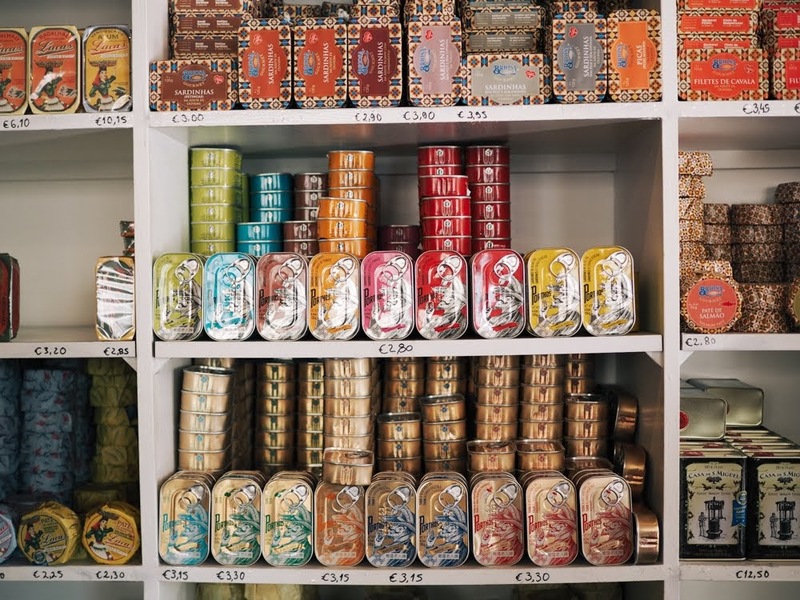 I got very excited when we got there and I had some delicious sardines on toast from Miguel Castro e Silva on our first day in Lisbon, but we never actually ate at the Time Out again. Time Out is extremely busy (huge queues at the ladies bathroom) and it's difficult to get a seat. Somehow it felt super touristy (it's a major tourist attraction at this stage), looking so sleek and commercial that it could be anywhere in the world. My favourite thing about the market was Manteigaria which sells the best pastéis de Nata in the city in my opinion. 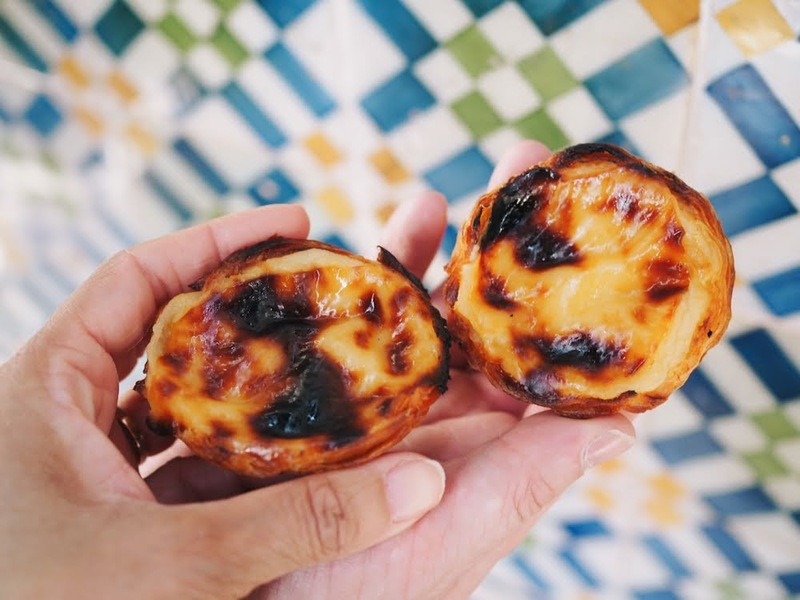 I also signed up for a pastéis de nata cooking class in Time Out which was good value (€25), it doesn't exactly teach you how to make the real deal but I enjoyed it. 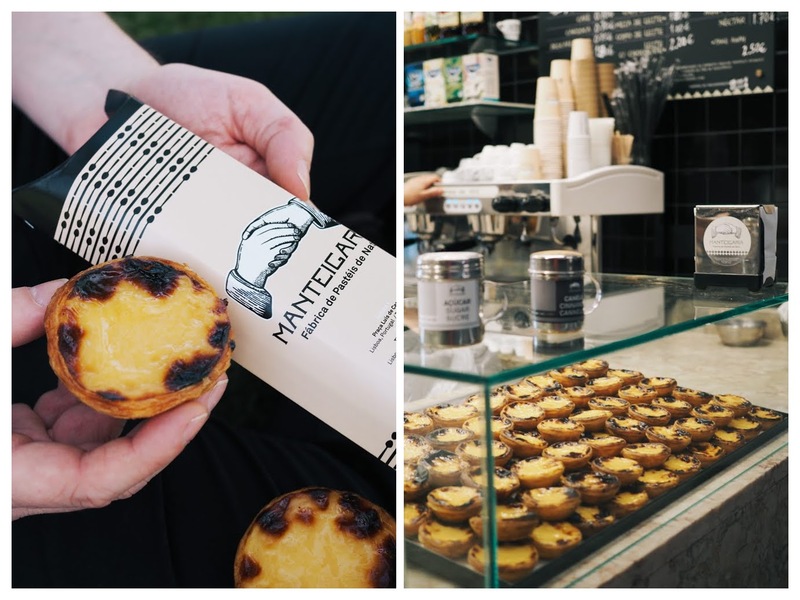 I'm not going to be original, my favourite food in Lisbon was the pastéis de nata, the delicious small custard tarts that can be found everywhere in Lisbon. At €1 each in most places and sold just out the oven, they're dangerously addictive. As previously mentioned you can find Manteigaria in the Time Out Market but also at other locations around the city. For me they were the best, with perfectly crisp and flaky pastry and the right amount of custard. Sprinkle some cinnamon on top and you'll go straight to food heaven! 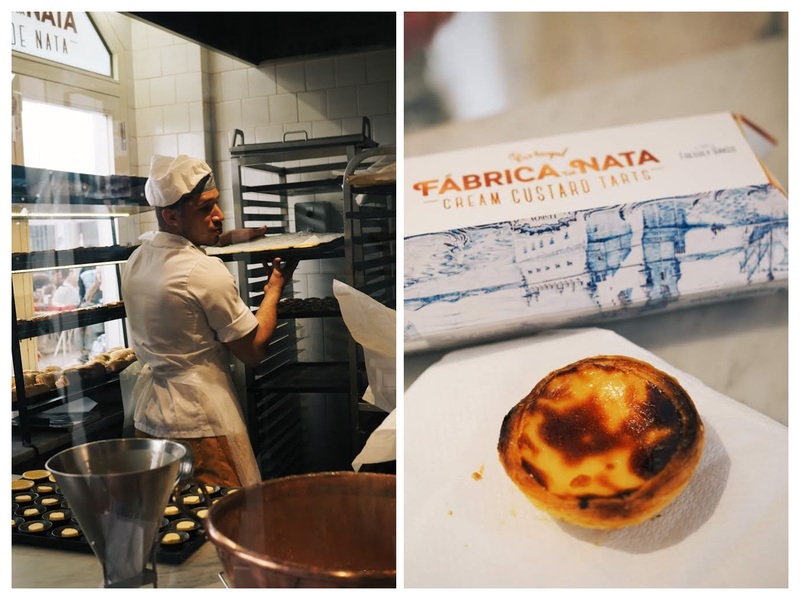 Another great place to try pastéis de nata when visiting Lisbon is Fábrica da Nata. You can actually see the staff making them behind the windows at the Praça dos Restauradores location. 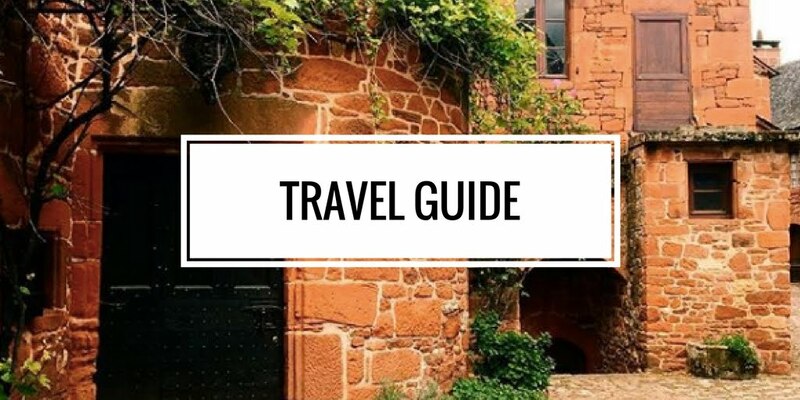 You might find yourself in Belem to see the Belem Tower or the Jéronimos Monastery and you may as well visit the ultra popular institution that is Pastéis de Belem. There's a massive queue outside but it's pretty well organised and the wait isn't too bad. They were my second favourites pastéis de nata. 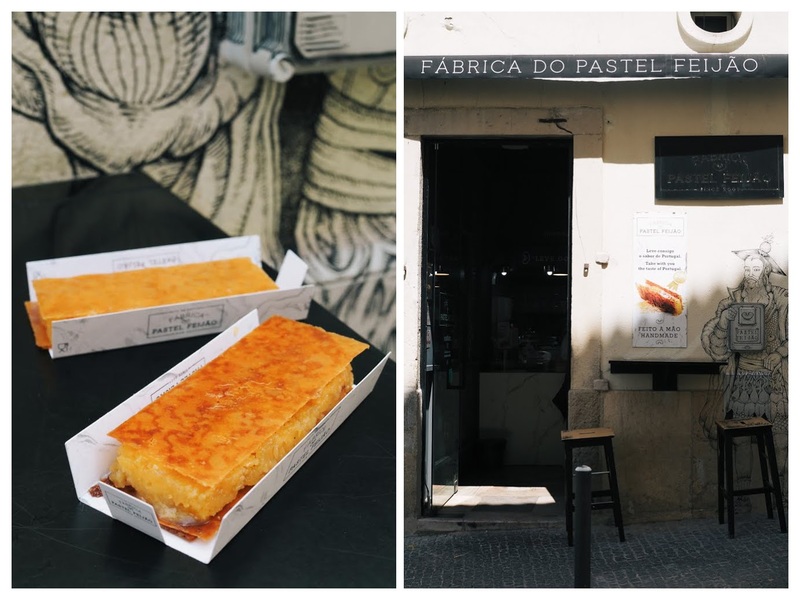 If you ever get bored of the pastéis de nata, you may want to try a treat from Fábrica do Pastel Feijão. One of my Portuguese Instagram followers suggested it to me and luckily my accommodation was only a couple of minutes away from this small pastry shop in the Alfama district. From what I understood it's a traditional old recipe which was given a modern twist by a young chef. It's a white bean cake with a custardy filling sandwiched between two very thin and crisp pastry layers. It's very sweet but delicious! I'm not the biggest chocolate cake fan but Mr. FFID is, so we had to try Landeau's chocolate cake during our week in Lisbon. 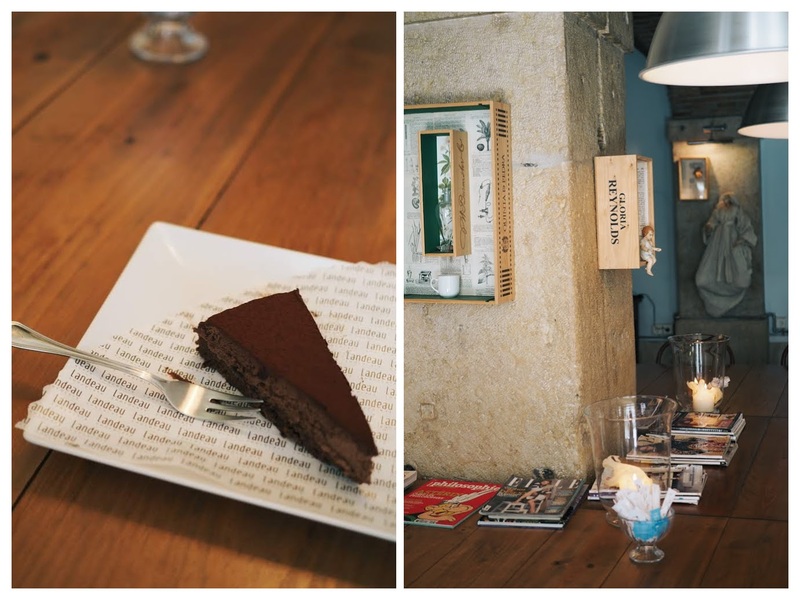 I loved the look of their Chiado shop and the cake was actually not too heavy for a chocolate cake and quite delicious. They also have another shop at LX Factory, which is beautifully decorated too. José Avillez is a young Michelin-starred chef who runs many different restaurants across Lisbon. 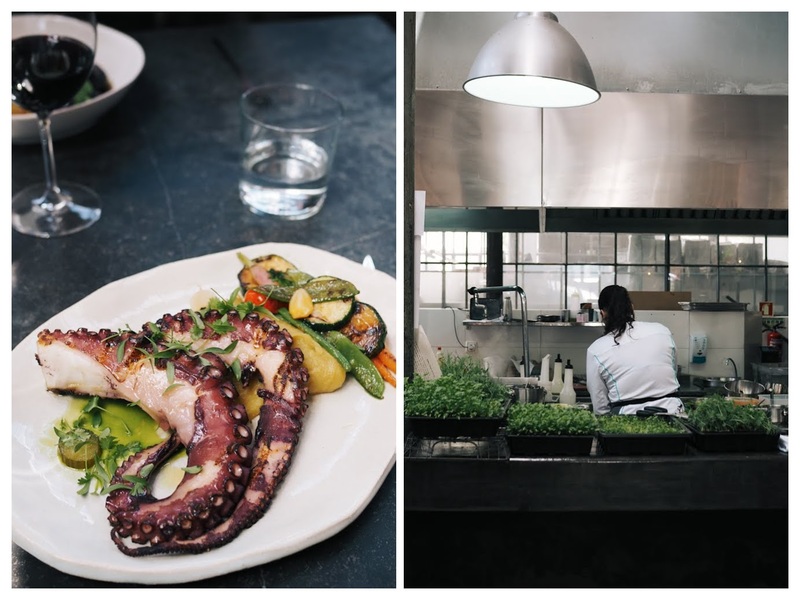 Taberna is the most casual restaurant of 'Bairro do Avillez', a building with three different eateries all by this famous chef. 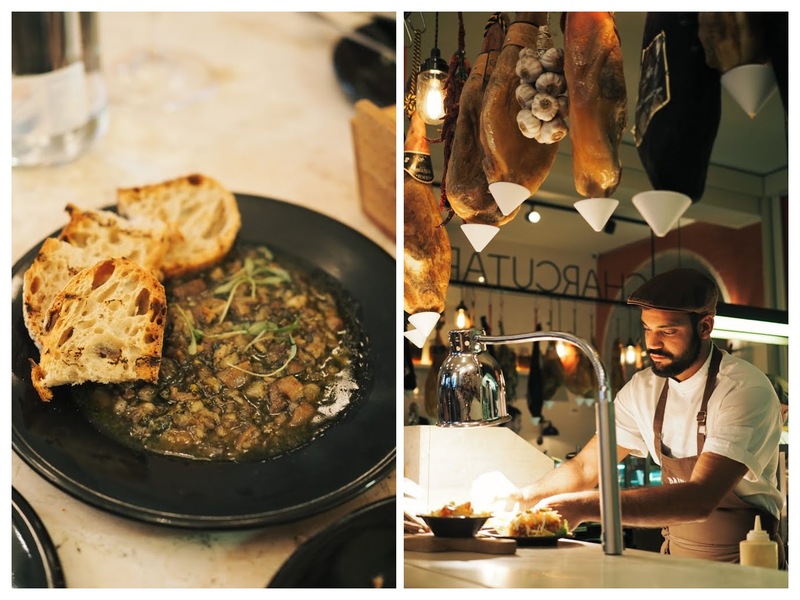 Taberna has a big open kitchen and features small bites, tapas and simple dishes served in a casual atmosphere. The service wasn't the most friendly but we enjoyed the food (especially the pig's trotters and the picanha). It's a busy place but still easy enough to get a table if you come early. 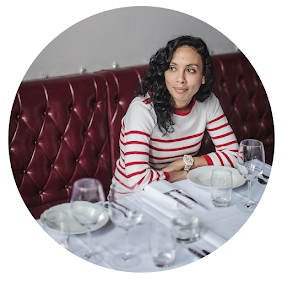 Mini Bar was the latest addition to José Avillez's food empire. We visited it at dinner time to celebrate my birthday and we loved it! Once again, it's a casual restaurant / gourmet bar that focuses on a menu of small but surprising dishes. 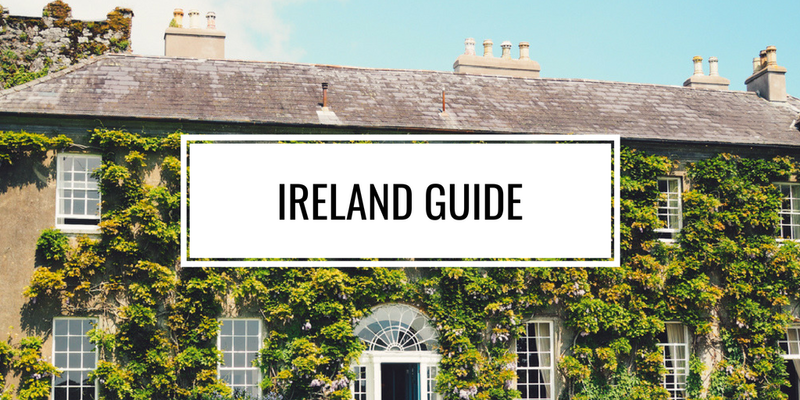 We went for the 'Epic menu' at €55 per head and thoroughly enjoyed the experience. 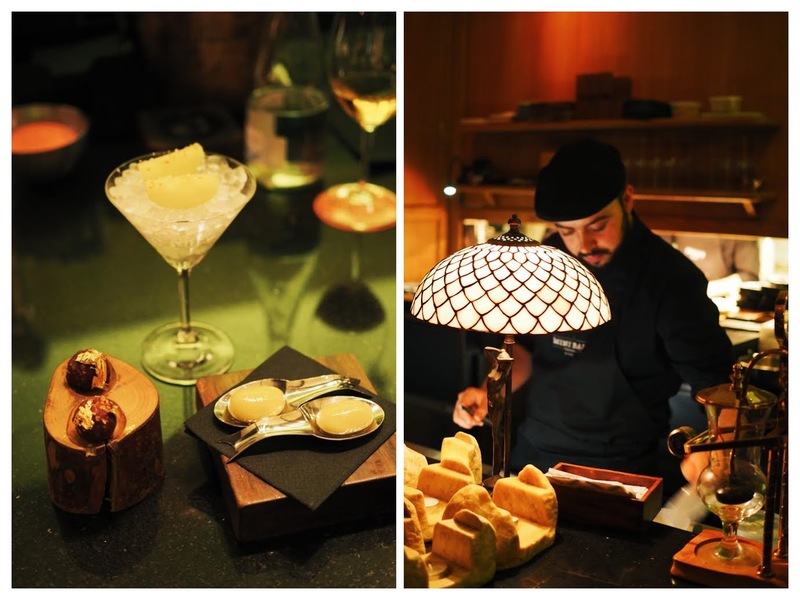 There were some wonderful surprises like the 'foie gras ferrero rocher' or the 'el bulli olives' as well as the beef tataki. 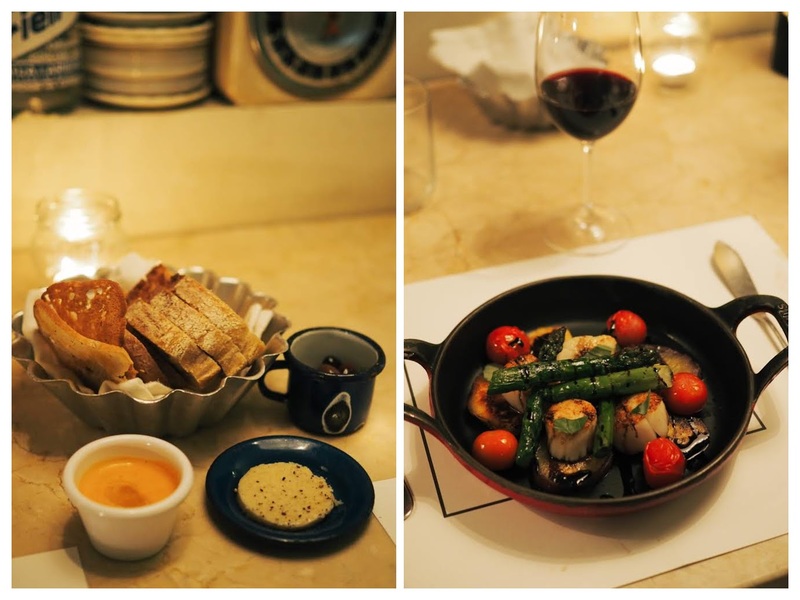 The service was very good and dinner in Mini Bar was my favourite food experience in Lisbon. Cantinho do Avillez was featured in Anthony Bourdain's programme 'No Reservations' a few years ago. We were lucky to get a table with 'no reservation' and had a lovely dinner. Again, it's laid back and the service is good, we particularly loved the chicken liver dish and the hazelnut dessert. 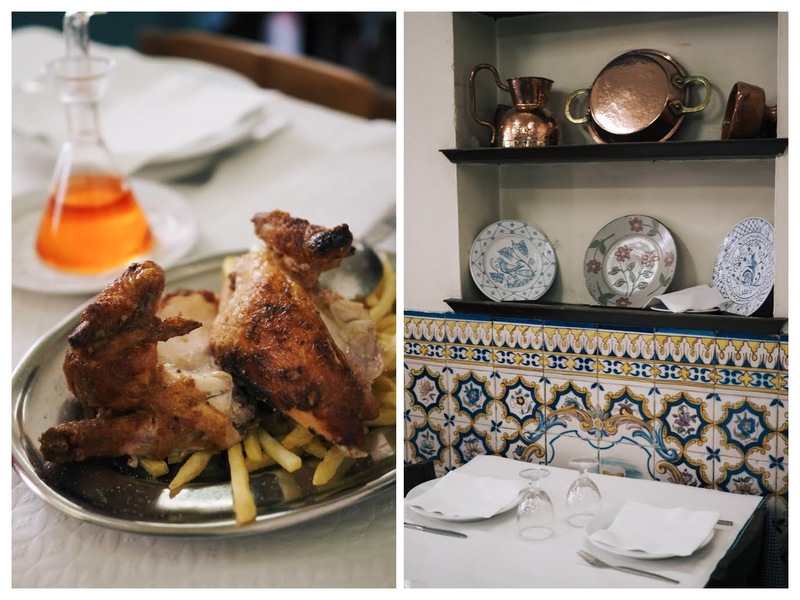 This simple restaurant is known for serving some of the best spit-roasted chicken in the city, the food is inexpensive but it's full of tourists. Beware, like many tourist restaurants in Lisbon they will put some (bad quality) cheese and bread on your table at the start which you will be charged for if you eat it (we didn't but I'm just sharing the tip). We had chicken with (unmemorable) fries and added lots of piri piri oil. It's not amazing but it did the job for a cheapish quick lunch in the city centre! I visited both locations and really liked them. 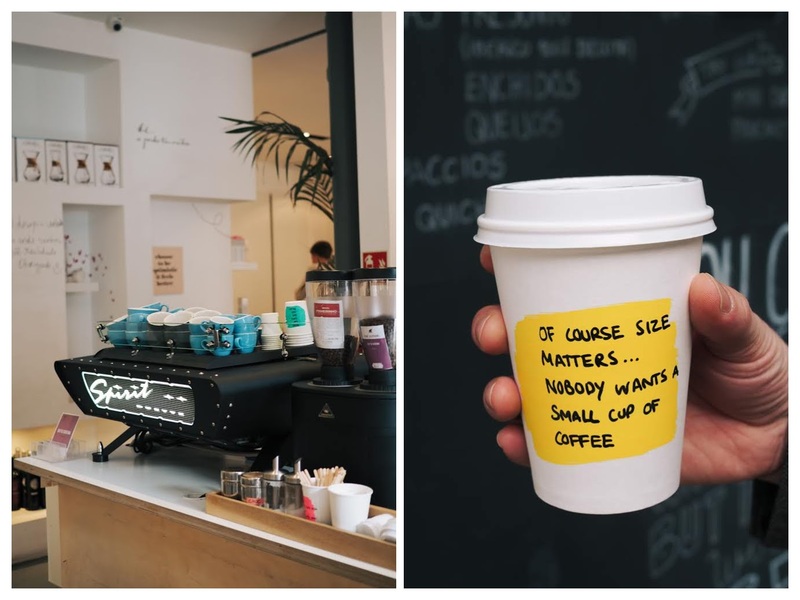 Fábrica Coffee Roasters is a speciality coffee shop which sources single origin coffee directly from coffee producers in Africa, central and south America. They roast the beans themselves in their small on site roastery. 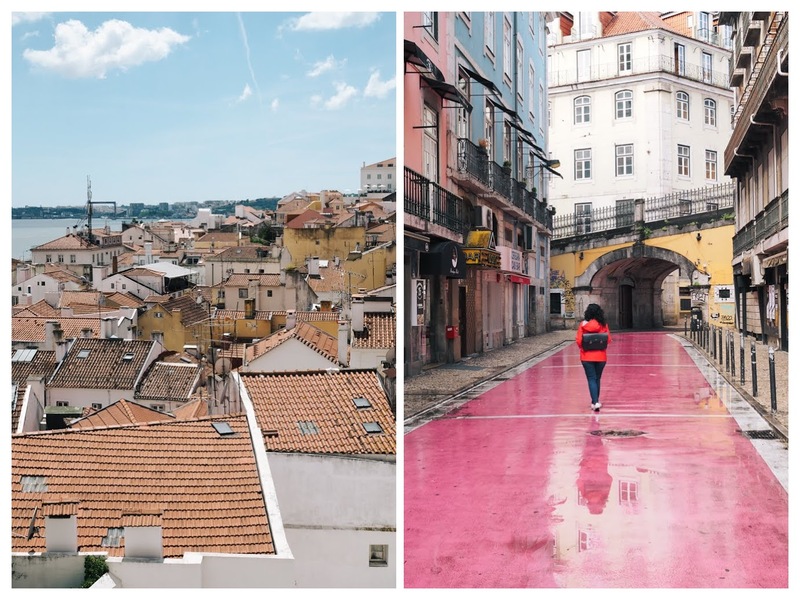 I spotted Hello, Kristof on Instagram many months before my trip to Lisbon and knew I'd love it. 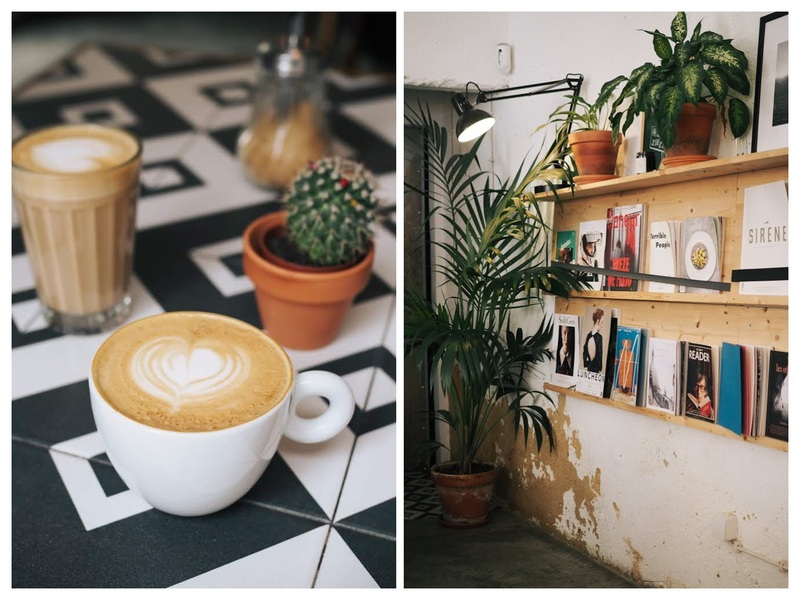 It's such a beautiful café with the most interesting selection of magazines, beautiful scandi vibes and delicious coffee. A great spot if you want to have a little break from the busy streets of Lisbon and slow down a little. We saw millennials queueing outside the Mill at the weekend and ended up visiting when much quieter to find shelter from the heat on our last day. This Australian/Portuguese coffee shop sources arabica beans that are hand roasted by their baristas in a local roastery. We only had coffee but the food looked pretty good, with a strong Australian influence on the menu. 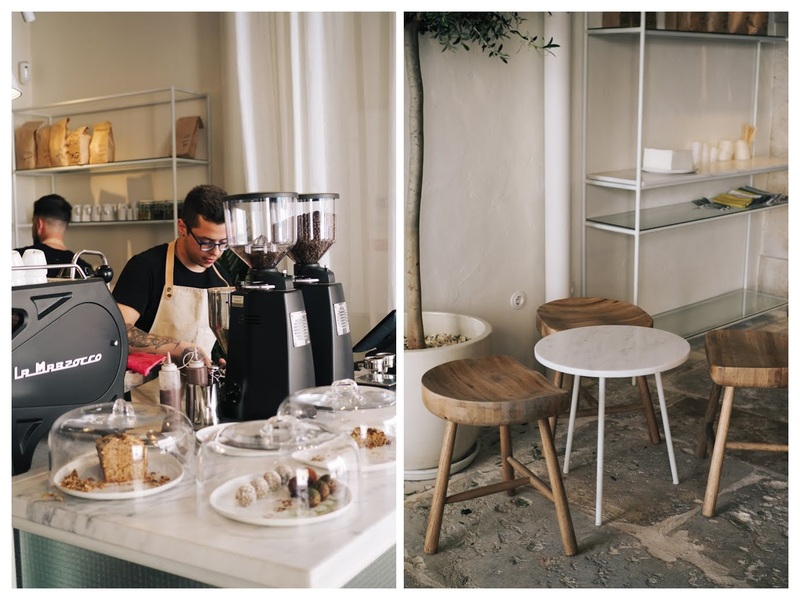 Copenhagen Coffee Lab runs a few cafés around Lisbon and we happened to be staying only three minutes away from one of them, in the Alfama district. I loved this place, super spacious with a great outdoor space and the smell of freshly baked pastries and breads enticing us. We loved their breakfast plate which for €10 included loads of food (breads, boiled egg, cheese, juice, pastry, yogurt...). The service can be slow but I still recommend it. Dear Breakfast is another stunning looking café and is just around the corner from Hello, Kristof. 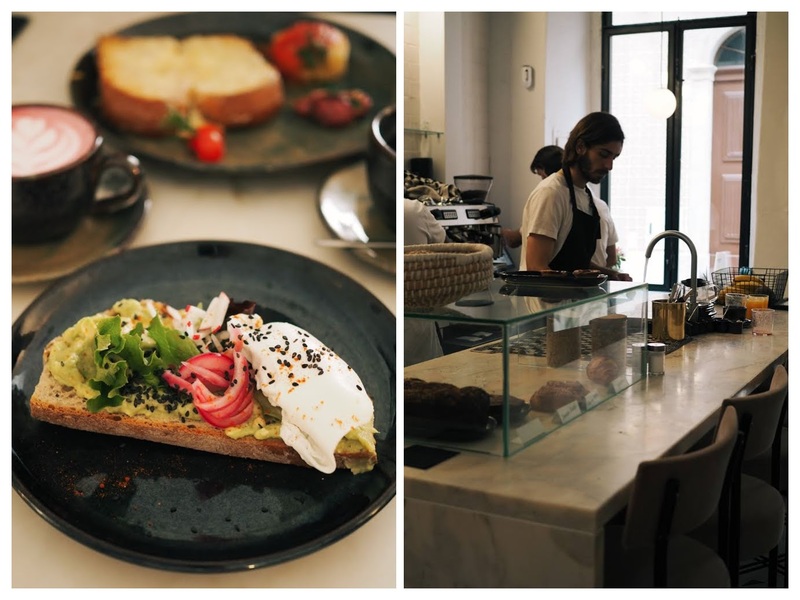 With marble tables, pink lattes and Kinfolk magazines, they clearly conceived the café for the Instagram crowd. I'm not going to lie, I tried the pink latte just for the craic and let's say I'm not going to have another one anytime soon. My avocado looked prettier than it tasted but Mr. FFID's brioche and chorizo dish was delicious. Comoba was just opened when we visited on our last day in Lisbon. 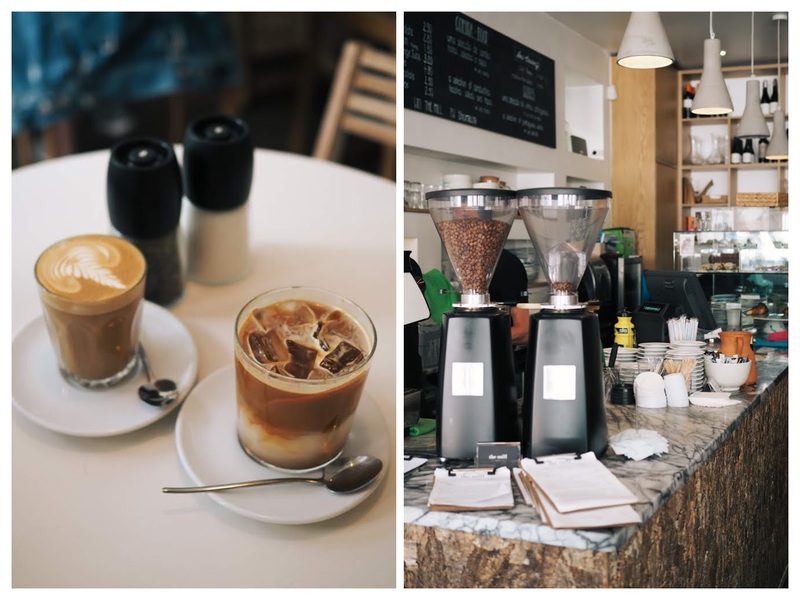 Super spacious, bright, beautiful café serving speciality coffee, organic and healthy food. They had all kind of lattes: matcha, beetroot, tumeric and charcoal... Only stopped for a juice but liked the vibes. 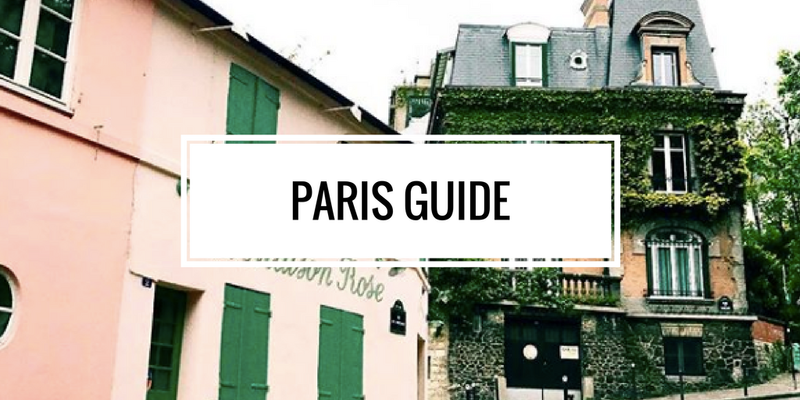 You can't miss this place as there's a crowd drinking outside pretty much any time of the day. 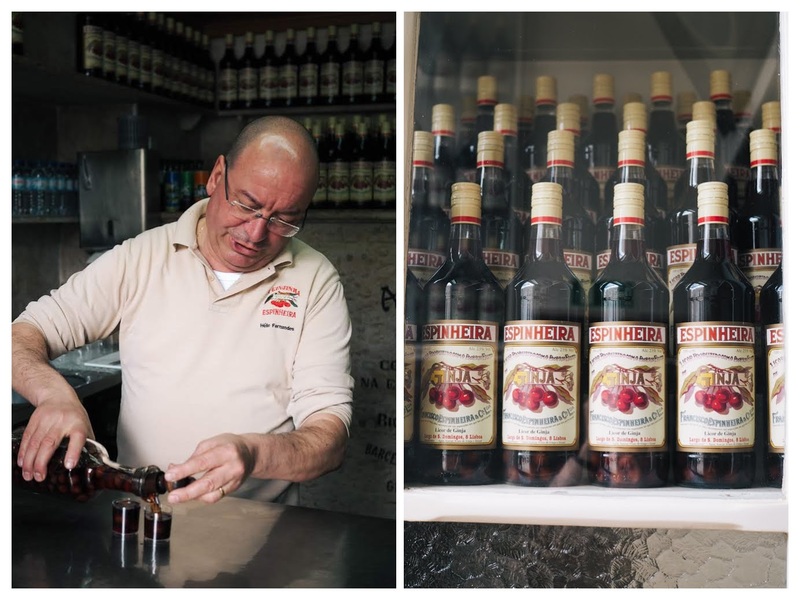 A Gingjinha is a tiny little bar dedicated to Gingjinha, a traditional cherry liqueur. It's open all day long and served in a small shot glass for €1.40. It's delicious and great as a digestif after a heavy meal. Definitely a must-try! Crafty Corner quickly became our local. 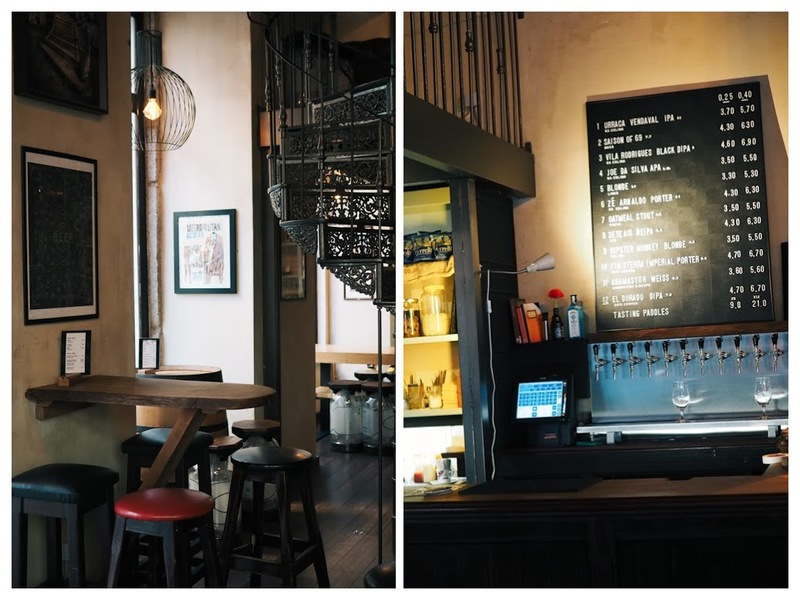 This craft beer pub only features Portuguese craft beer and when we were there, all the beers on tap were from the Lisbon area. 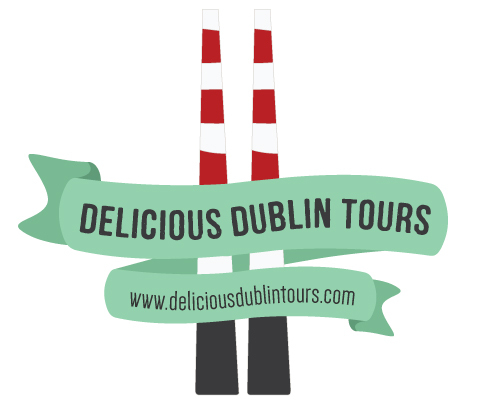 After a few visits we realised that it's actually Irish owned, another reason to love it! They have a massive tasting paddle of 12 beers which we went for, the glasses are pretty small but it's impressive looking! 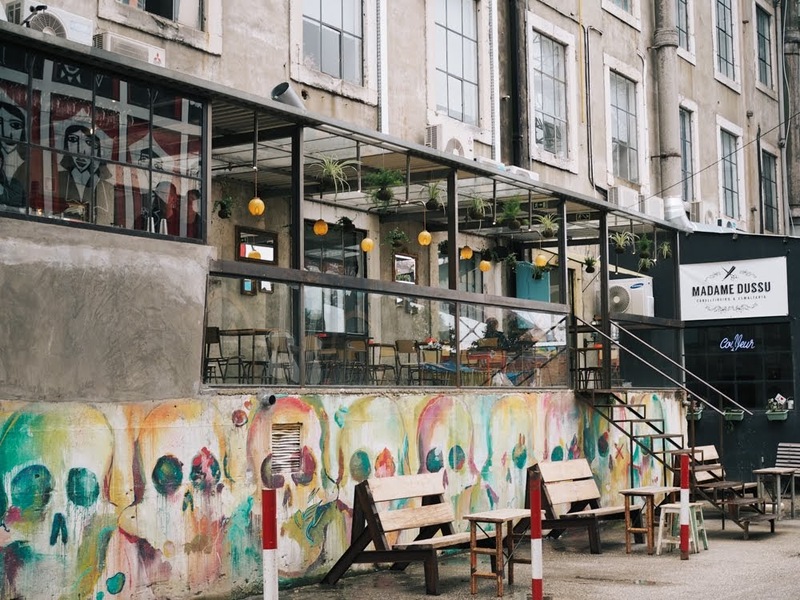 My favourite place in Lisbon on this trip happened to be LX Factory, a 19th century industrial site turned into a creative space filled with trendy shops, cafés, restaurants and plenty of street art. Totally right up my alley, we visited twice because I loved it so much. There's also a market every Sunday, with a few food stalls as well as vintage clothing, which was pretty cool too. 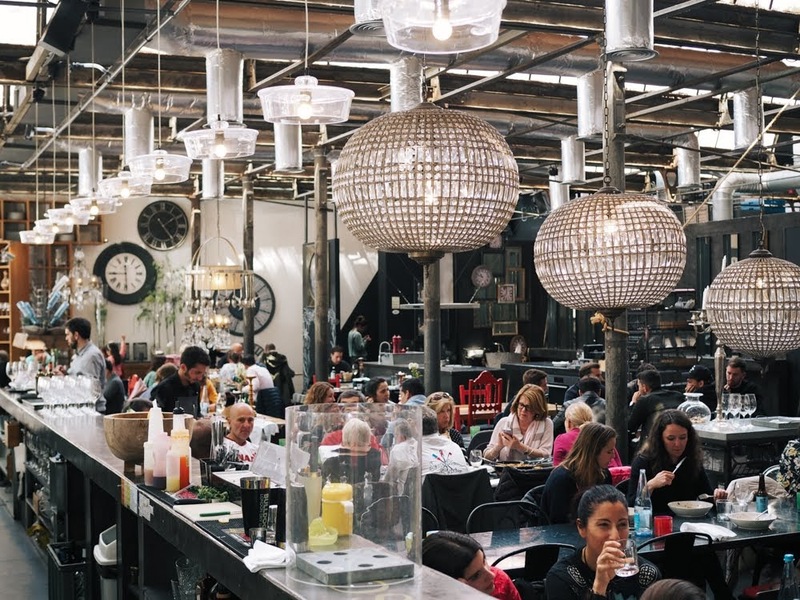 I highly recommend 1300 Taberna in LX Factory, a restaurant with industrial shabby chic decor and some cracking food. My main of grilled octopus and grilled vegetables was so simple but so fresh and full of flavours. All the wines are from Portugal and the menu is quite short but with lots of tempting options. 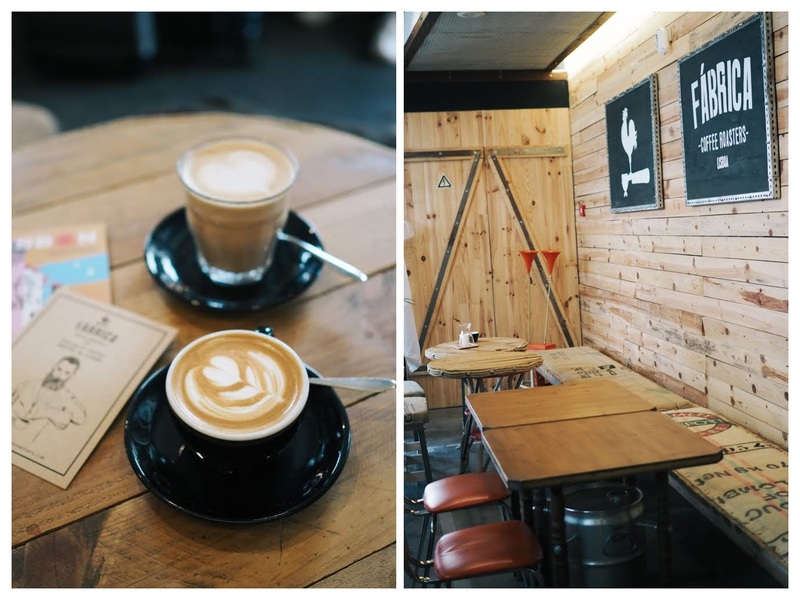 Finally, if you're looking for a place for coffee while in LX Factory, head to Wish Slow Coffee House. 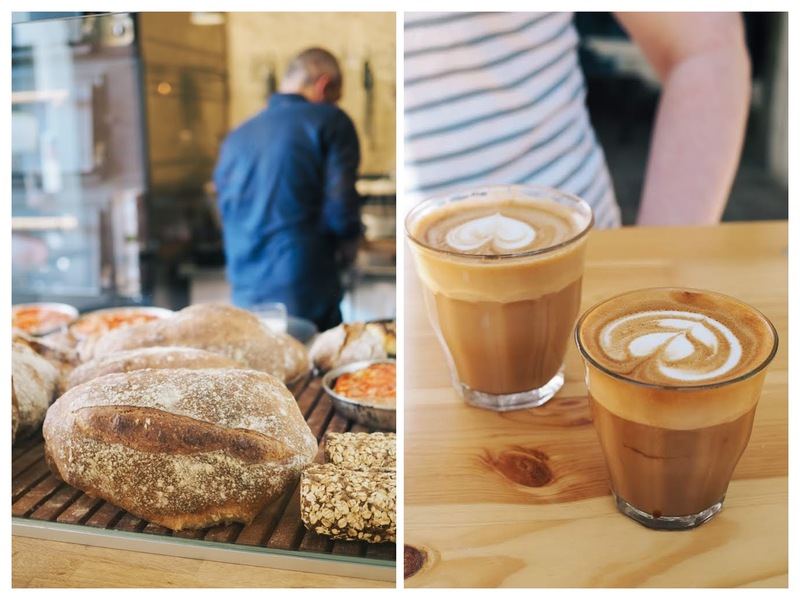 This cute concept store/café serves speciality coffee and has a lovely interior. They have the best take away cups I've ever seen too! Now I leave you with a Google map of all the places I recommend, I hope you find it useful! 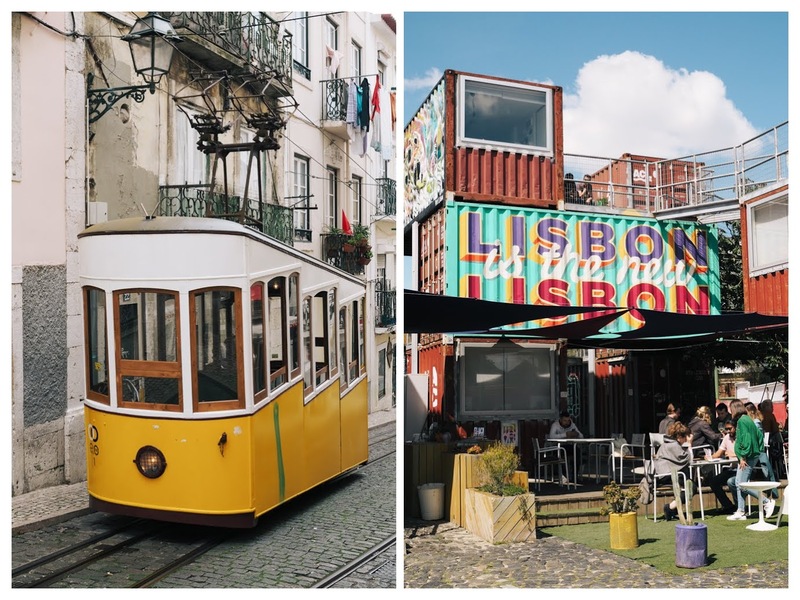 Disclaimer: This is an independent post, I paid for all my food and drinks in Lisbon.